What comes to mind when you hear the phrase “self care”? If you’re like most people, you probably thought, “That sounds amazing, but I’m way too busy taking care of my [family, home, job, etc.] to take care of myself.” Maybe you even felt a little guilty imagining what self care might look like for you. We understand. Practicing self care might seem like a luxury, something that only the 1% can do on a regular basis. In today’s busy world, taking time for yourself feels selfish. We all have many demands on our time, our energy, and our mental and emotional spaces. Here’s the thing: practicing good self care is actually the opposite of luxury and selfishness. You may have heard the phrase, “You can’t pour from an empty cup.” This is a great illustration of how our tendencies to put others first is unrealistic. You can’t give what you don’t have. Without caring for yourself, you can’t care for others. 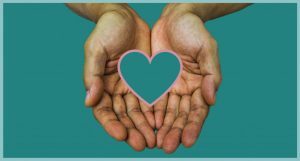 When you plan to do something for someone else, you most likely put it in your calendar: “Drive carpool to soccer.” “Take a meal to neighbor.” “Finish proposal for work.” Whatever you do in caring for another person, you make sure to schedule it. Practicing self care should be the same. Add it to your calendar, so you don’t forget – and so other demands on your time don’t take its place. Another tip is to be consistent. When you make time to take care of yourself on a regular basis, you make self care a habit. Subconsciously, you’re telling yourself that you matter, that your time with yourself is sacred and important. Practicing self care consistently allows you to reconnect with you – to check in, to focus, and to appreciate who you are. Finally, make self care a whole-body experience. Connect your mind, body and heart, and find relaxation and refreshment by incorporating elements of the five senses. 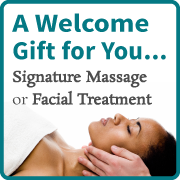 Massage and facials are excellent options for your self care routine. The benefits of these services go beyond just “feeling good”. Massage helps to increase circulation, heal tissue and muscle tension, and improve mental health and wellbeing. At Soak Spa, we incorporate heat into every massage; learn more about how heat and massage work together in our recent blog post. Regular facials help to improve skin texture and elasticity, decrease acne and wrinkles, detoxify clogged pores, and hydrate skin that is often dry in our Colorado climate. Each facial at Soak Spa is designed to treat your skin with expert care while you relax and refresh. We use natural products; choose the option that best fits your skin and its current needs. We now offer a program designed to make your commitment to consistent self care easy and affordable. Our new Monthly Wellness Membership Program includes three options for your customized Soak Spa and Foot Sanctuary experience. Simply select the option that best fits you, your needs, and your budget. Each session begins with our signature ginger tea and a light snack. You’ll be cared for in our tranquil spaces, enjoying aromatherapy and a variety of heat treatments in addition to your selected spa service and enhancements. Our goal is to provide you with a relaxing, immersive experience that allows you to focus on you and your wellbeing, inside and out. Learn more about the program, choose from the three options, and begin your regularly scheduled self care routine. Remember, taking care of yourself helps you to fill your cup – when your cup is full, you can better pour into others.